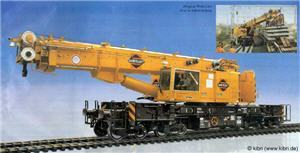 4 double-trucks with 8 axles alltogether, 4 of them are driven, total length 13,0 m, weight 128 t, max. 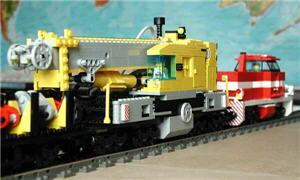 speed 120 km/h, max. 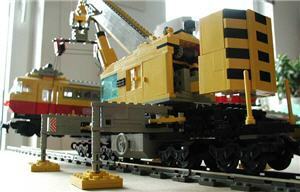 lift capacity 100 t.
The model is my first 8-wide MOC and my first MOC after my Dark Ages in autuum 2000. 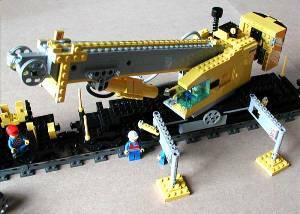 The cable is powered by a micromotor, the boom could be pulled out by hand and is risen by the LEGO Pneumatic (2 zylinders work in row). 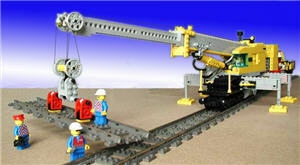 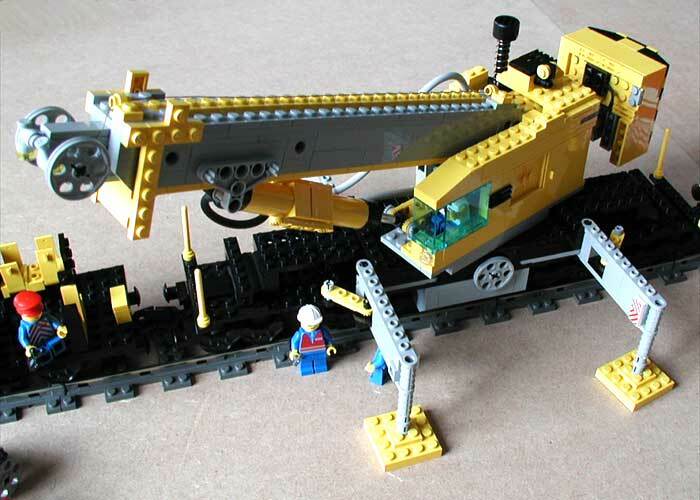 The upper structure can be rotated by 360° and the whole railcrane will run through curves and points. 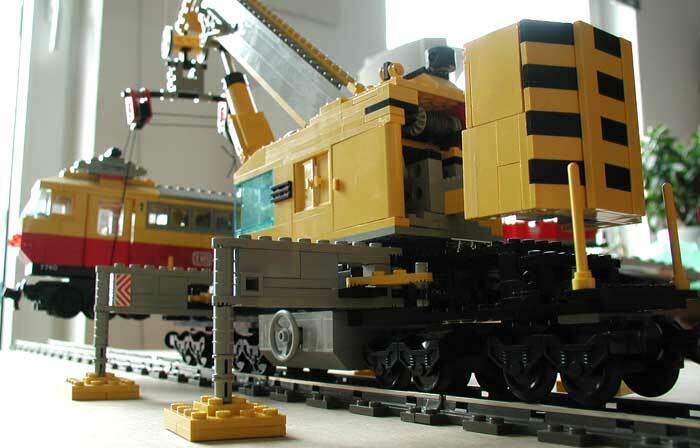 The counterweight could be vertically adjusted (by hand). The Railcrane and some supplemental waggons. Heavy load: a locomotive from set #7740 is lifted.